Did the chicken come before the egg? This question has been asked forever so I have a better twist on it...Did the farm come before the fiber? In my case, yes! Before I purchased my first Alpaca in 2008, the only Fiber Arts activity I attempted was crochet, sewing and cross-stitch of which I was awful at the first two. My dear grandmother tried to teach me as a teenager but I never had the motivation and when you have an amazing quilter and seamstress as a grandmother you can have pretty much whatever you want sewn for you done without having to learn at least that is how I saw it. Same with crochet, to this day I have a plethora of afghans around my house that either my grandmother or sister made for me. If they didn't have time to make what I wanted, then I'd visit a craft show and buy it. The day I met Kaboom, a Suri Alpaca, my life changed. I fell in love with his face, his personality and his fiber. I wanted something made out of him. I didn't know what but I knew I wanted it. I bought him and my first few Alpacas in late Autumn so I would have a few months before my first shearing season. It was about then that I met some local knitters and had a pair of knitting needles and a ball of yarn thrust at me. "You are now a knitter!" By golly, I was. Of course, I didn't see them for a few weeks so I didn't become a "purler" right away. During the next few months I learned the basics of knitting then one day I saw a beautiful drop spindle made by a local artist and I won it at a fundraiser. "Guess what! You are now a spinner!" By golly, I became one. After shearing I had all of my fiber sent to a mill for processing. I was told by the mill that I should practice on wool before I started to spin with my Alpaca because I wouldn't want to waste my Alpaca with beginning spinning. Whatever! 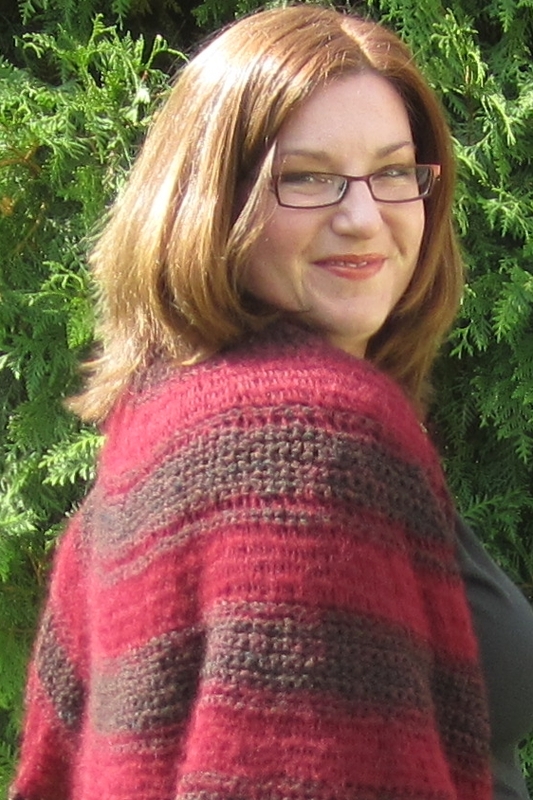 I grabbed that first bump of roving, created from Kaboom, and started to spin. Yes, I can look at that yarn now and know that my spinning wasn't the best and I had over-spun the yarn so it felt a bit like rope but I spun it from MY Alpaca. I then knitted a staggered-ribbed scarf out of that yarn and made a scarf long enough for a men's dress coat which I would give to my dad. I had taken that fleece from Pasture to Product. I was a real fiber producing farm. I look back on what I learned in that first year of my farm and what I have learned since then. Fiber Arts is a true addiction and owning the fiber producing animals just feeds the habit. Would I have learned to knit, spin, weave, felt, dye and even crochet (yes, I have actually learned) without that herd of Alpacas? Maybe but most likely not. This egg needed the chicken to get the yarn ball rolling. Want to see the quirky side of Fiber Arts? Wow Thank you ever so much Andrea! 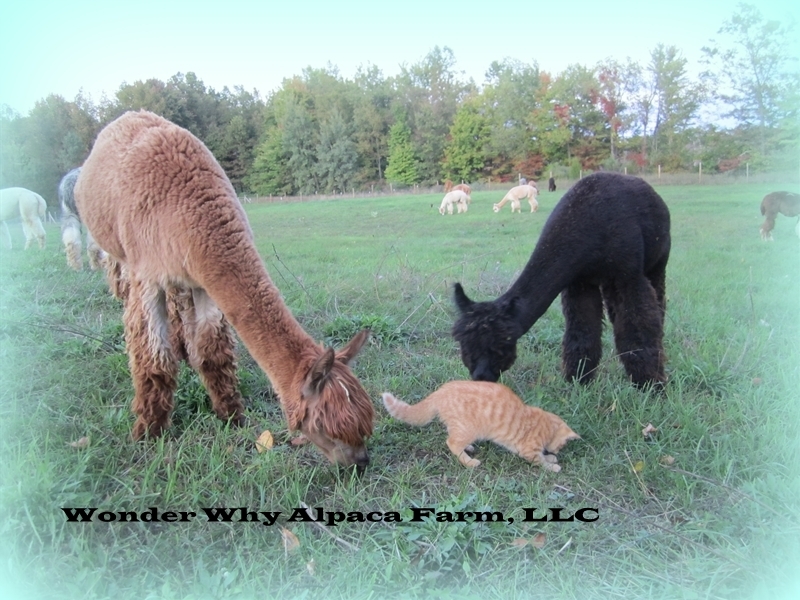 I would love my own Alpaca. Please check out Andrea's sites! They are well worth following! Thanks for sharing Andrea's story. 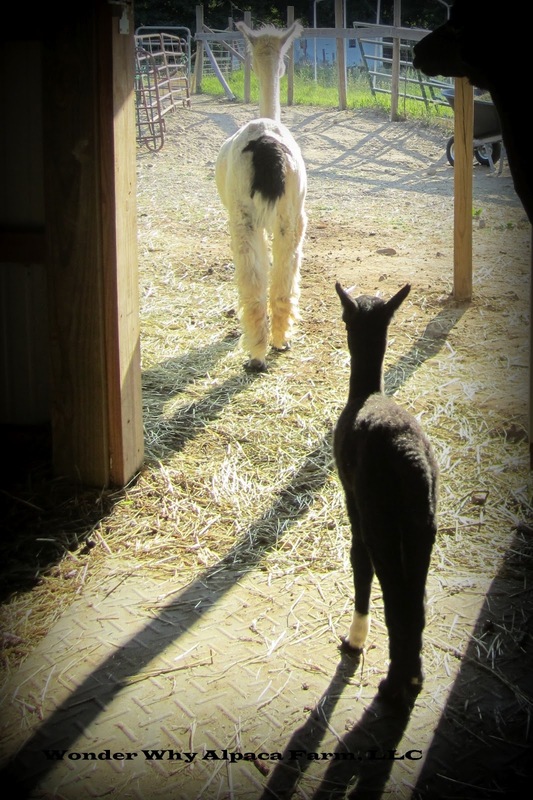 I love her blog and get such a kick out of seeing what crazy antics her Alpaca's are up to! Makes me want to have goats again! And I'd toss in a few alpacas for the joy of the fibre! I miss my goats. You are more than welcome! Glad you enjoyed it.